You can now take control of your living room smart TV, HTPC, gaming console and your desktop machine using a single device - Logitech's new K830 wireless living-room keyboard. Created out of necessity, the K830 keyboard is here to help users comfortably navigate their living room entertainment making it easier to quickly and effortlessly input text and passwords, while offering a smooth transition from couch to desk chair using what seems like the optimal form and function. Logitech's new K830 is a wireless, all-in-one backlight illuminated keyboard featuring an integrated multi-touch touchpad with a compact handheld-friendly design. Yet it's also large enough to get serious work done when sitting in front of a computer, and in any lighting situation. Or so it may seem. Looking for the definitive all-in-one PC to TV peripheral solution? This is where you need to start. Our full review awaits! The TK820 wireless keyboard is Logitech's latest all-in-one solution for Windows 8 users looking to take full control of the multi-touch gestures and capabilities that Windows 8 has to offer at a desktop, and even at a living room environment. The TK820 tout 6 months of battery life, and features a full sized keyboard layout flanked by a generously large built-in trackpad that although has been designed to work with Windows 8 and all of its 13 multi-touch gesture controls, will also play nicely with Windows 7. We've got a full review on this sleek new all-in-one device down below! With chiclet keyboards on the rise, thanks to Apple MacBooks and other laptops nowadays, the "old-school" mechanical keyboards have been slowly forced out of the general consumer scene. Despite the fact that mechanical keyboards tend to be bulky, loud, obnoxious, and even unusable for some people, there is still hope for them elsewhere. This elsewhere happens to be the gaming community. Cooler Master is a well-known name in the gaming industry for their PC components such as desktop towers and cooling fans. However, more recently, Cooler Master expanded their reach and created CM Storm, their gaming-exclusive area of the company focusing on gaming peripherals. 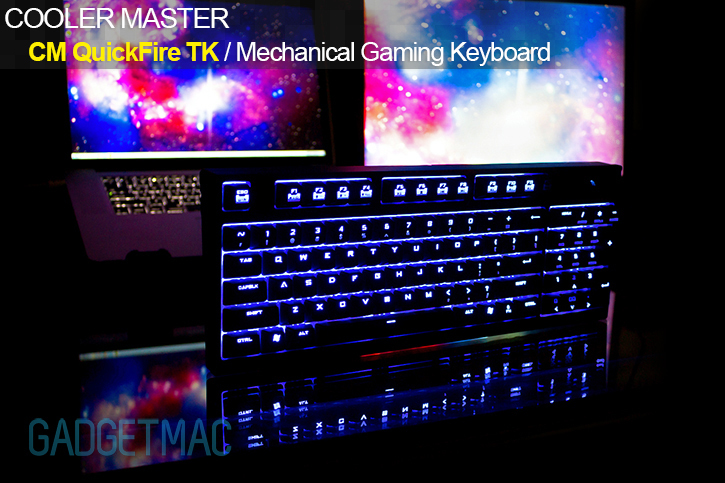 The CM Storm QuickFire TK Cherry MX Blue Gaming Keyboard is their latest entry into the gaming world. Skip on past the cut to see the full specs of what Cooler Master has to offer and whether or not this new kid on the block belongs with the OGs such as Razer, Logitech, Das Keyboard and SteelSeries. Oh no Logitech didn't just roll out a brand spanking new wireless Bluetooth keyboard for the Mac. We're just messing with you, because yes Logitech did. 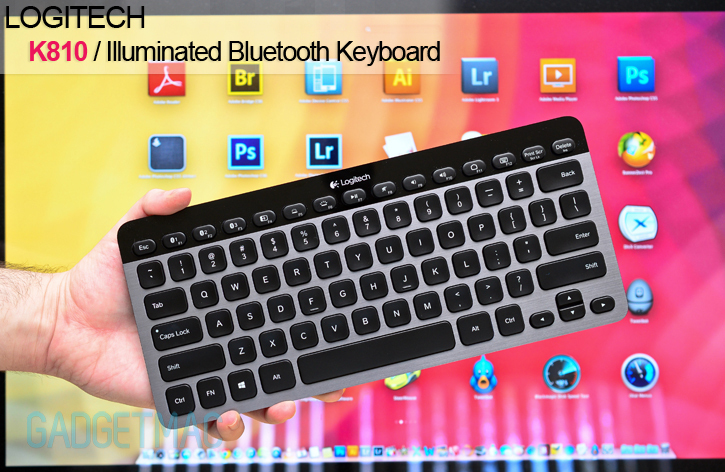 The K760 is the company's most anticipated keyboard to feature Bluetooth wireless connectivity that's designed to work with both Mac and iOS devices without much of a technical know-how sweat on your part. The K760 continues Logitech's solar powered keyboard lineup with its Apple-esque figure and giant solar panel strip so you could literally be free of wires and batteries. How well does it compare to the rest? We find out after this break! Mechanical keyboards are back from the dead, in style and better than ever. Today's keyboards are all about being as stealthy as a hovering black ninja in complete darkness. Like many of you out there, I love me my silent and squishy keyboard keys with an extra layer of silence that is a silicone keyboard cover. But that all changed when I went mechanical. Having had no real experience using the full frontal mechanical keyboards of today, I went in head first not knowing what sort of madness will come out from Das Keyboard. The company is known to have one of the best mechanical keyboards known to man. And they've just released a Mac version, the Model S Professional for Mac. The full review awaits you after the cut!